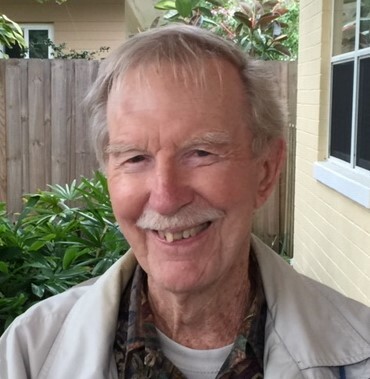 Edward “Jim” Newitt passed away Saturday, April 6, 2019 of congestive heart failure. He was 92. Born of English parents, in Scranton, Pennsylvania, Jim lived and was educated in both the United States and United Kingdom. He served in the British Army Corp of Engineers in Northern Africa at the end of World War II. After marriage to his wife Eileen, he completed his doctorate in organic chemistry. The couple had five children; Peter Scott of Audubon, Pennsylvania, Terry James of Wilmington, Delaware, Carol Kochhar-Bryant of Reston, Virginia, Robin Raymond, of Stony Creek, New York, and Anne Frances Snow of New Smyrna Beach, Florida. The entire family immigrated from the United Kingdom in 1957 when DuPont Chemical Co. hired Jim and they settled in Chadds Ford, Pennsylvania. Everyone who knew Jim and of his infectious energy. He enjoyed life to the fullest and remained physically fit playing tennis and running in his younger years. Then moved on to golf, weight lifting and aerobics. An unfortunate bout with rheumatic fever in his 20s that damaged his heart valves, was not discovered until his employment at DuPont. His fitness level and determination kept him from any major issues until he had to have aortic valve replacement and pacemaker at age 66. Even so, he never slowed down. He and Eileen, his wife of 71 years, traveled the world extensively and encouraged their children to join them whenever they could. Along with his five children and Eileen, Jim is survived by 10 grandchildren and 11 great grandchildren. In lieu of flowers donations to American Heart Association, Doctors Without Borders, or American Chemical Society would be appreciated.